“Who do you think your fooling, I got a good look inside of your mystique, I’m a man who needs to know what's doing, hey, those big brown eyes, you keep them just out of reach” Artists mentioned on this show! Susan Muranty DE163 Genevieve Vitanzo DE181 Darrah Brustein Featured blog from Forbes magazine: https://twitter.com/DarrahB Darrah gave us 55 questions about how to get to know someone: We get into some of these in this show! Drill down Chorus: I’m gonna drill down baby, drill down deep, I wanna get to all the secrets you keep from me, drill down baby, drill down deep, I gonna be the first man who is able to reach you, now I’m able to reach you, Hey, how does it feel to have me steering your wheel, now I’m able to reach you, Hey, give me a chance I might have something to teach you! JKO quotes: “Isn’t it true, that we all are all able to teach each other something, if, we allow that process to unfold, don’t get so caught up in yourself and narcissistic and conceited to the fact that you have this down, you know it all and that nobody can teach you anything” “There is always someone and often someone much younger than you, or who don’t have as much experience and the reason they can teach you something is because your not wired, the same way as they are, in problem-solving, reactions, anything that comes somebody’s way, we all process differently, so there is a world of opportunity, in just opening your mind up to every single person you encounter” “Open up a conversation and you will learn something if you allow that process to unfold” “There is a smorgasbord of intellectual opportunity” Please include prayers for the people in the path of Hurricane Florence, ask the Lord Jesus to protect them with his love and kindness. Follow James here: www.jameskevinoconnor.com www.thejamesoconnoragency.com www.dharmicevolution.com facebook twitter instagram youtube Subscribe rate &amp; review the Dharmic Evolution podcast! Visit the store and check out the Gratitude&nbsp;album&nbsp;here! 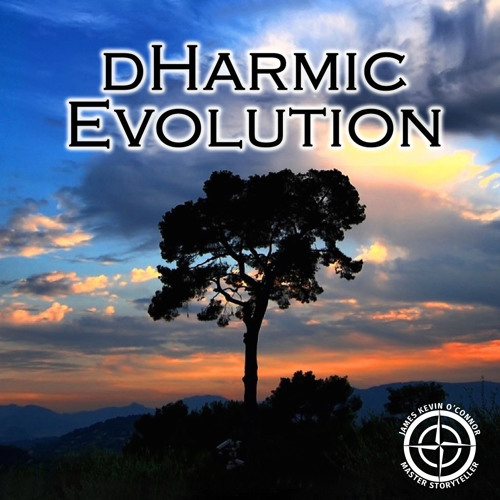 For coaching help, reach out the james@thejamesoconnoragency.com Join the Dharmic Evolution Community Facebook page! You can post your content on there for the whole world to see.